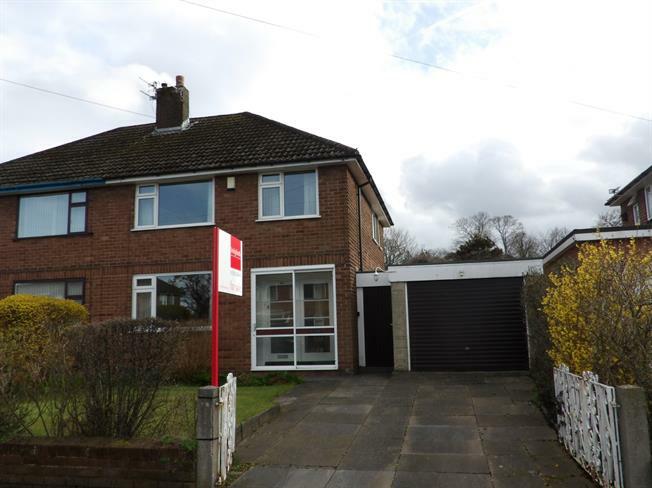 3 Bedroom Semi Detached House For Sale in Warrington for Offers Over £250,000. Pickering Crescent is coming to the market in need of some modernisation but is a fantastic opportunity to purchase a well proportioned semi-detached property in a highly sought after area. The property has the benefit of no onward chain and in brief the accommodation comprises a large entrance hallway, great size sitting room leading onto a separate dining room, kitchen with door into the large garage following out to a generous, private rear garden. Upstairs boasts three large bedrooms, two of which being impressive sized doubles, all served by a three piece bathroom. Externally the property boasts driveway parking for numerous vehicles and a large rear garden. Early viewing is recommended to appreciate the potential of this property.